Subject added entry in which the entry element is a topical term. Topical subject added entries may consist of general subject terms including names of events or objects. 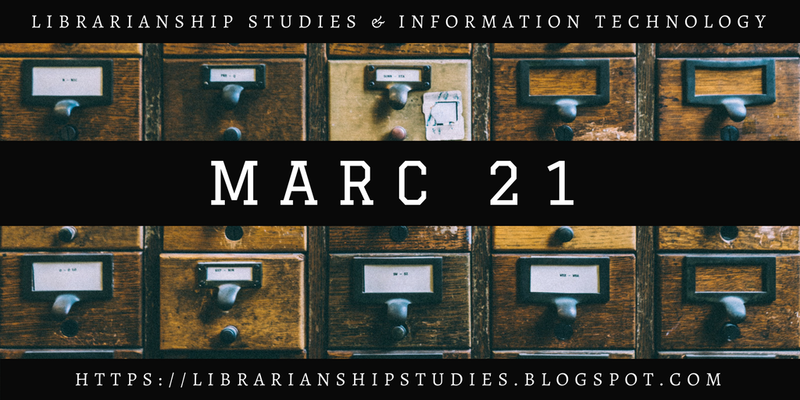 Subject added entries are assigned to a bibliographic record to provide access according to generally accepted thesaurus-building rules (e.g., Library of Congress Subject Headings (LCSH), Medical Subject Headings (MeSH)). Field 650 may be used by any institution assigning subject headings based on the lists and authority files identified in the second indicator position or in subfield $2 (Source of heading or term). A title (e.g., Bible and atheism), a geographic name (e.g., Iran in the Koran), or the name of a corporate body (e.g., Catholic Church and humanism) used in a phrase subject heading are also recorded in field 650. Used to distinguish primary and secondary descriptors. Level of the subject term could be determined but is not specified. Main focus or subject content of the material. Less important aspect of the content of the material. Subject heading system or thesaurus used in constructing the subject heading. Subject added entry conforms to and is appropriate for use in the Library of Congress Subject Headings (LCSH) and the Name authority files that are maintained by the Library of Congress. 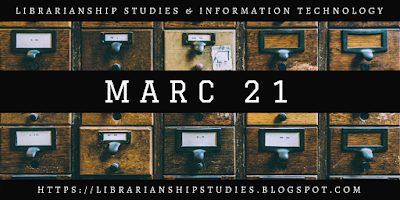 Subject added entry conforms to the "AC Subject Headings" section of the Library of Congress Subject Headings and is appropriate for use in the LC Annotated Card Program. Subject added entry conforms to and is appropriate for use in the National Agricultural Library subject authority file. Subject added entry conforms to a controlled list that cannot be identified by second indicator values 0-3, 5-6 or by a code in subfield $2. Field 653 (Index Term-Uncontrolled) is used to record terms that are not derived from controlled subject heading lists. Subject added entry conforms to and is appropriate for use in the Canadian Subject Headings that is maintained by the Library and Archives Canada. Subject added entry conforms to the Répertoire de vedettes-matière that is maintained by the Bibliothèque de l'Université Laval. Subject added entry conforms to a set of subject heading system/thesaurus building rules. The identifying code is given in subfield $2. Topical subject or a geographic name used as an entry element for a topical term. Parenthetical qualifying information associated with the term is not separately subfield coded. 650 #0$aEgypt in the Bible. 650 #0$aBull Run, 2d Battle, 1862. Topical term that is entered under a geographic name contained in subfield $a. This construction is not used in AACR2 formulated records. Time period during which an event occurred. Specifies the relationship between the topical heading and the described materials, e.g., depicted. Data element that is not more appropriately contained in another defined subfield. Form subdivision that designates a specific kind or genre of material as defined by the thesaurus being used. Subfield $v is appropriate only when a form subject subdivision is added to a main term. Subject subdivision that is not more appropriately contained in subfields $v (Form subdivision), $y (Chronological subdivision), or $z (Geographic subdivision). Subfield $x is appropriate only when a general topical subdivision is added to a main term. Subject subdivision that represents a period of time. Subfield $y is appropriate only when a chronological subject subdivision is added to a main term. Geographic subject subdivision. Subfield $z is appropriate in field 650 only when a geographic subject subdivision is added to a main term. MARC code that identifies the source list from which the subject added entry was assigned. It is used only when the second indicator position contains value 7 (Source specified in subfield $2). Code from: Subject Heading and Term Source Codes. Code or URI that specifies the relationship from the entity described in the record to the entity referenced in the field. A source of relationship codes is: MARC Code List for Relators. Ambiguous Headings - See Appendix E.
Punctuation - Field 650 ends with a mark of punctuation or a closing parenthesis. If the final subfields are subfield $2 or $3, the mark of punctuation precedes those subfields. Main term portion followed by a subject subdivision does not end with a mark of punctuation unless the main term portion ends with an abbreviation, initial/letter, or open date. 650 #0$aRain and rainfall$zWashington (State)$zSeattle$vMaps. Spacing - No spaces are used in initialisms, acronyms, or abbreviations. Dash ( - ) that precedes a subject subdivision in an extended subject heading is not carried in the machine-readable record. It may be system generated as a display constant associated with the content of subfield $v, $x, $y, and $z. Initial Article - Initial articles (e.g., The) occurring at the beginning of topical subject added entry fields are usually omitted in most languages (except when the intent is to file on the article). Any diacritics and/or special characters occurring at the beginning of fields are retained. Note that such characters are usually ignored for purposes of sorting and filing. Subfield was restored for use in retrospective record conversion in 1987.